Indian Coast Guard (ICG) has commissioned indigenously built patrol vessel ICGS Vijaya in Chennai, Tamil Nadu. 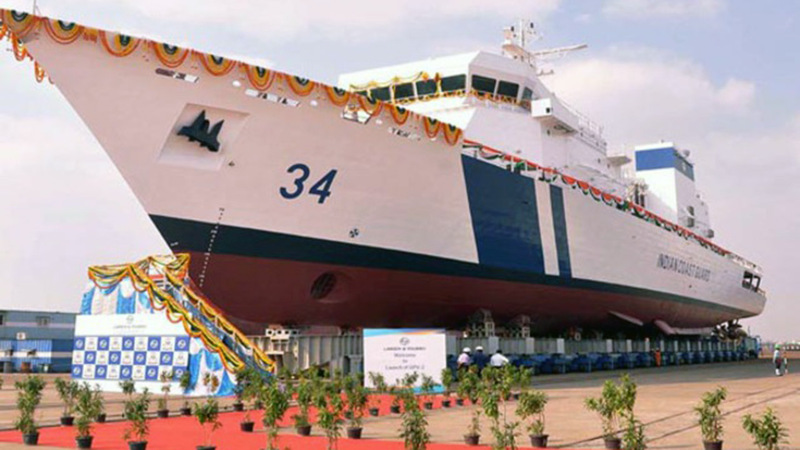 It is second in the series of 98 m offshore patrol vessels (OPVs) commissioned by ICG. It has been designed and built indigenously by Larsen & Toubro (L&T). It is a 98-metre long ship. It can carry one twin engine helicopter and four high speed boats, including two inflatable boats for boarding. It is fitted with advanced technology navigation and communication equipments and sensors. It is fitted with a 30 mm gun and will be fitted with 12.7 mm gun with fire control system. On joining ICG fleet, ICGS Vijaya will be based at Paradip, Odisha. It will be manned by 12 officers and 91 men. What is the significance of this vessel? It will be deployed extensively for Exclusive Economic Zone surveillance and other duties as enshrined in the Coast Guard charter. It will also undertake search and rescue, law enforcement and maritime patrol operations. It will help to enhance ICG's operational capability to discharge its multifarious maritime tasks. It will also give fillip to maritime protection of Eastern seaboard in general and the maritime states of Odisha and West Bengal in particular. It is also capable of carrying limited pollution response equipment to contain oil spill in the sea. Q. 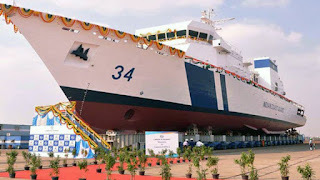 Name the indigenously built patrol vessel that Indian Coast Guard (ICG) has commissioned in Chennai, Tamil Nadu?